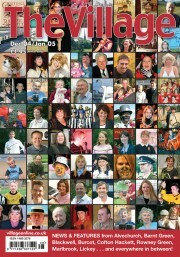 Our combined Dec 04/Jan 05 cover showed, as was now traditional, a selection of people who had appeared in the magazine in the past year. Inside, readers were encouraged to buy the first-ever Village calendar! The organisers of Alvechurch Alight were appealing for fresh faces to help put on the following year’s festivities, and Hunters Hill School in Blackwell asked villagers to assist with fundraising for a new sports hall to benefit the whole community. On a festive note, Alvechurch shop owners were invited to enter the annual Christmas Window Competition run by the parish council. 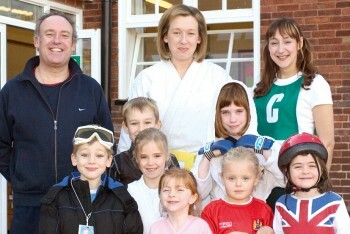 Staff and pupils celebrated by dressing as sports stars for the day (above). 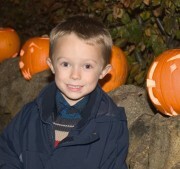 * Burcot villagers had celebrated Halloween by carving a plethora of pumpkins, which were displayed around the village. The event attracted many visitors and plans were under way to repeat it next year.